A study conducted by the French company Media Transport Pôles Gares in association with Illigo and the Conseil Supérieur de l’Audiovisuel (the French broadcasting regulator) shows commuters appreciate the presence of advertising screens in train stations. 86% of the interviewees said they consider the screens as ‘something high tech’ and they associate them to the multi-screen world we live in today. 77% of them think digital displays animate rail stations, 73% think they make stations more entertaining and 62% think digital signage brightens them up. When it comes to the ads displayed on the screens, they too are regarded with considerably more openness than in many other environments. 83% of the respondents perceived the video ads on the screens as entertaining, 79% lively and dynamic and an overwhelming proportion (91%) said they attract the eye. 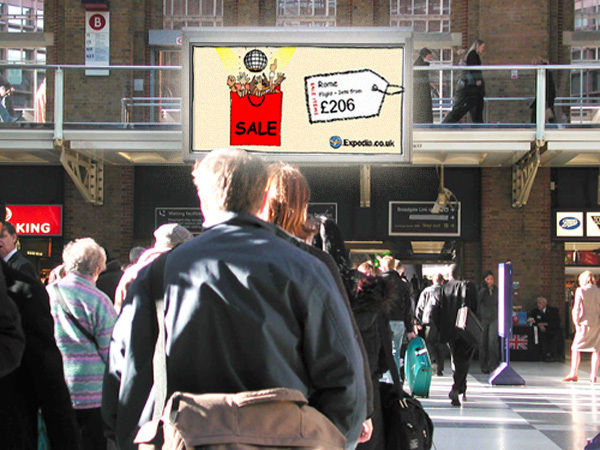 Brands too have an interest in being seen in this environment, because, as the commuters’ responses indicate (83%), those that are featured on digital signage displays are well- regarded. The results of the study also shown that digital posters in train stations attract 4.5 times as many views than the surrounding environment and 2.5 as many views than static posters. In terms of ROI and impact, the study shows enhanced levels of recall (30%), desire to find out more about the advertised offer (50%) and willingness to purchase/ subscribe (38%). The study, that took place during several months, was conducted in Parisian rail stations and consisted of both quantitative and qualitative research (interviews and surveys of more than 1,000 regular commuters) and it’s enriched on an ongoing basis, with 300 commuters interviewed every 15 days. The study’s results were originally revealed by the French marketing publication emarketing.fr. 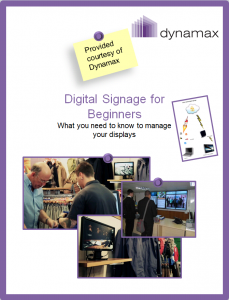 To find out more about digital signage, download our whitepaper that explains the technicalities of the system in a plain, accessible language . This entry was posted in Marketing and Advertising, Uncategorized and tagged advertising, digital signage by Dynamax. Bookmark the permalink.